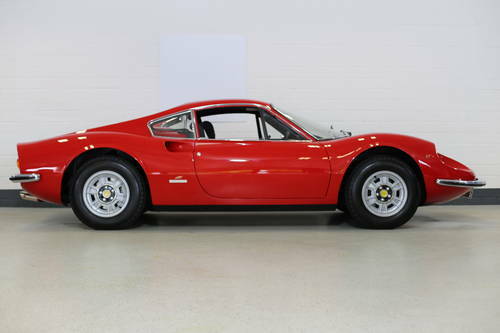 HISTORY FILE – Our somewhat rare European specification Ferrari Dino 246GT (1 of only 507 series 2 examples) was built in 1970 with its first registration taking place in Holland in 1971. 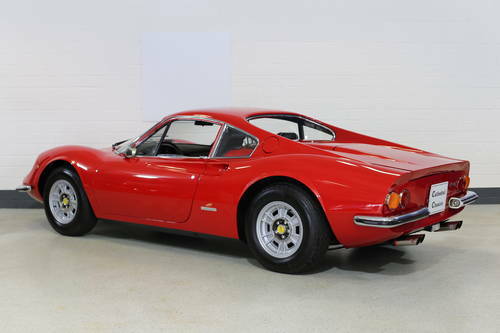 Incredibly, our exemplary, restored example lists only three owners – all Dutch. 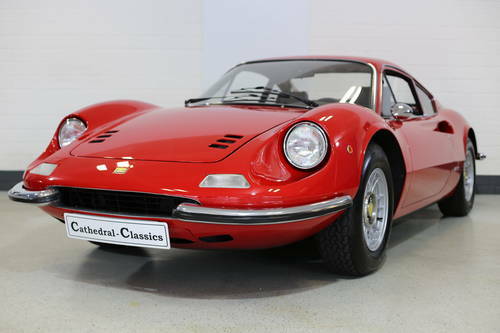 Recently restored to an uncompromising standard by a mainline Ferrari dealer, vastly experienced hands have lovingly put this car back to the top of the pile and its current stunning condition. EXTERIOR – The Fioravanti designed piece of true wonder is finished - of course - in the correct red livery and will turn heads wherever it goes. 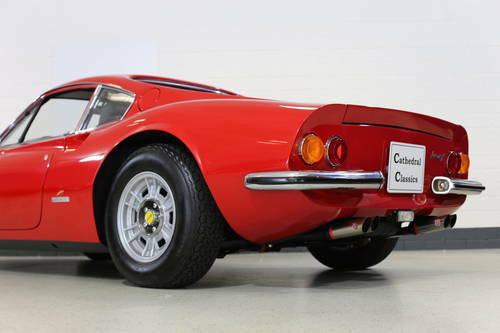 Ferrari aficionados will spot the white front side lights confirming the cars rare European specification. Closer inspection of all chrome elements will again confirm the cars recent awakening. The ‘clap-hands’ wipers are further confirmation of the origins of this fine series 2 example. INTERIOR – Finished in stunning black ribbed leather the ‘cockpit’ smell is like new and is surprisingly comfortable for such a small cabin. The beautifully finished alcantara dashboard should be seen to appreciate the remarkable workmanship involved. 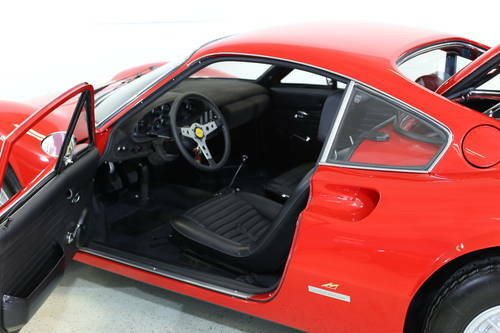 ENGINE & TRANSMISSION – The 2418cc dual-overhead-camshaft unit was of course completely overhauled during the restoration process and will not disappoint. Extensive photographs of both the engine and gearbox rebuilds can be supplied on request. WHEELS, TYRES & BRAKES – A Series II car is again confirmed by the immaculate Cromodora alloys which are covered in new 205/70 VR14 Michelin rubber. 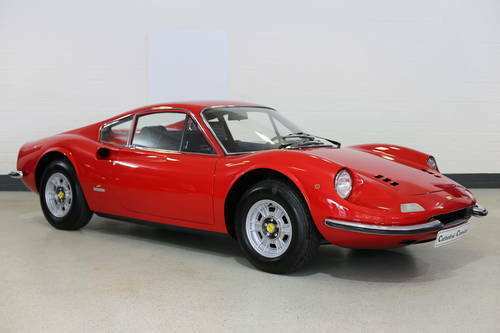 1972 DINO 246 GT "E"
Rare flares option car. Recently refurbished at NCSC.